We had a lovely stay with our grownup family. Having a pub 3 doors down that take dogs is a bonus. We had Sunday lunch in the Ferry Inn. 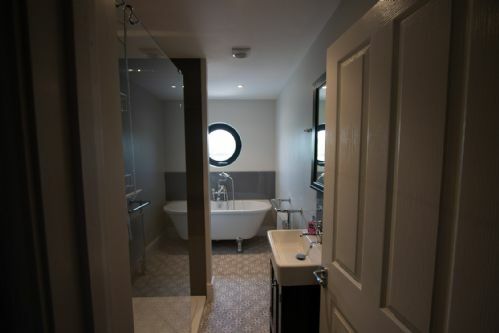 I loved the Captain Suite and the kitchen which lead onto the garden. Amazing house in a fabulous location. 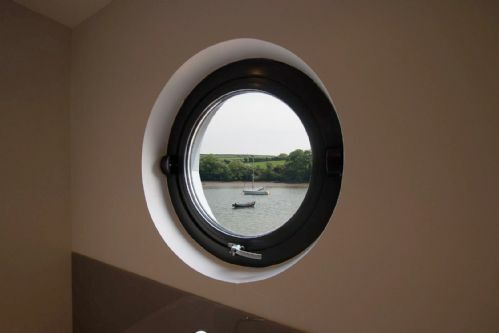 Views are outstanding, the house has been renovated to take full advantage of the beautiful scenery. Kath and Pete were very accommodating and the local produce was very welcoming. Wonderful place to spend a family Christmas. This is one of the best holiday homes that we have stayed in. Will definitely be back. The space and high end interior. A wonderful relaxing week in a beautiful house. We thoroughly enjoyed our stay at Sherwood House. 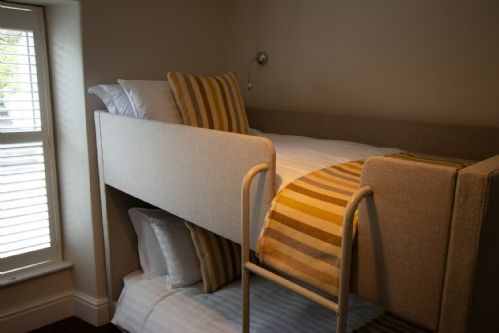 It has been beautifully renovated/decorated, is impeccably clean and very comfortable. The hosts are lovely people, very accommodating and friendly and they left us a generous welcome hamper which was most appreciated. Even our dogs were treated! We were lucky to have sunny, crisp October days so spent some time on the terrace admiring the wildlife and had lots of fun using the pizza oven. All in all, a wonderful, relaxing week thanks to Sherwood House. We really enjoyed visiting the local beaches as well as taking a day out to visit local producers (wine, cheese and chocolate!). 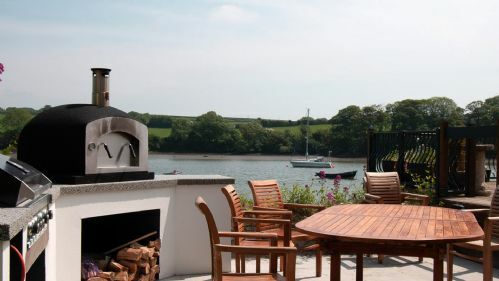 We enjoyed the comfort and quality of Sherwood House and particularly enjoyed using the pizza oven on the terrace! 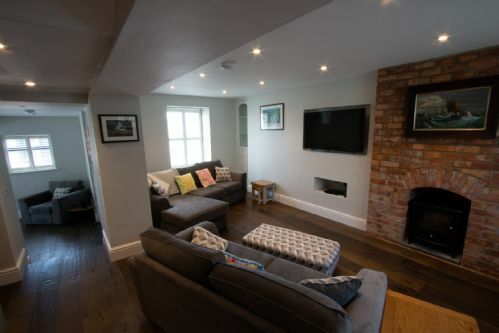 We recently stayed in this fabulous refurbished riverside property with our three children and two dogs. 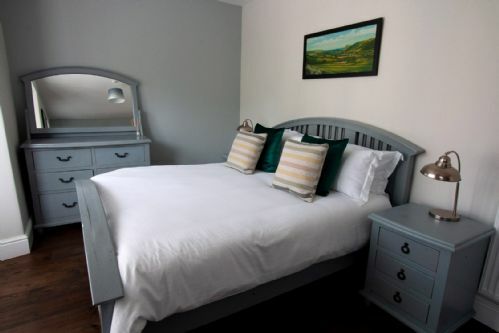 This is definitely a luxury 5* holiday cottage, with all the facilities we needed for a relaxing family self catering holiday, with all the "home from home" comforts. 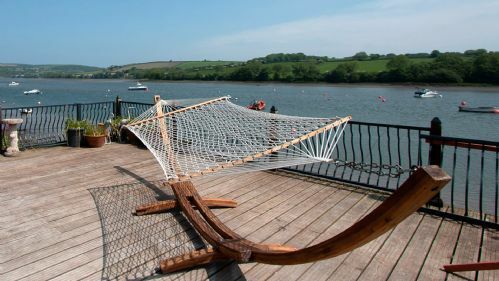 The location is second to none, overlooking the beautiful Teifi Estuary and Cardigan Bay, just a couple of miles from the family beach of Poppit Sands, where there is so much to do for all the family from rock pooling, to playing "hide and seek" in the sand dunes, flying our kites, and swimming in the sea. The beach is also pet friendly and so is the beachside cafe, adjacent to the large car park, providing tasty snacks and ice creams. One of the biggest advantages, and especially for Dad, was the fact that he could walk to the local pub from the cottage in under 1 minute, where we all joined him on the last night for an excellent family meal. On the other evening we used both the built-in pizza oven and gas BBQ, superb quality. We have already booked again for 2019, and can't wait to come back, thanks guys. The luxurious comforts of the new home, and the location. The children appreciated the Superfast broadband and the dogs their welcome pack.. The stunning views followed closely by the sunken bath and walk in power "rainfall" showers. 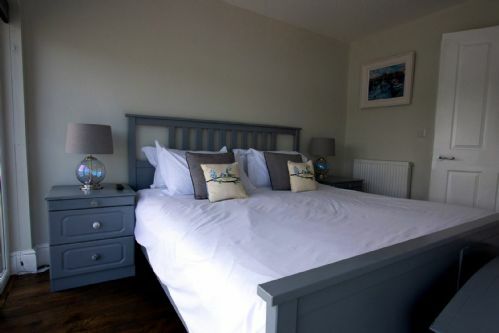 We have stayed in many holiday cottages and found this one to be right up there with the best. 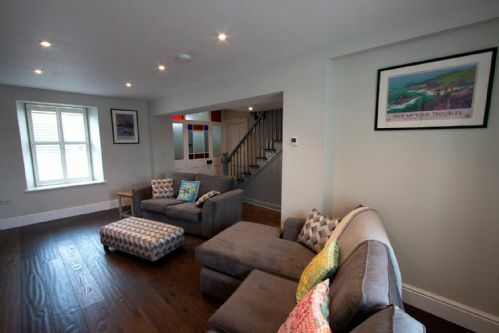 The house itself has everything you would need and more, pure luxury and so well thought out, beautifully finished and would feel spacious even if you had a full house. 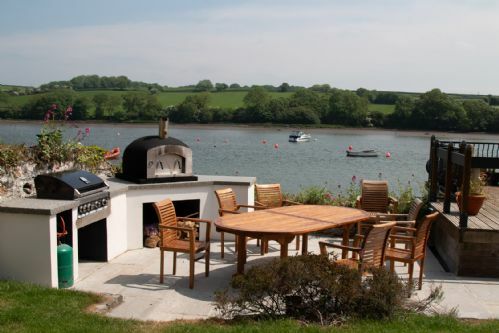 The location is fantastic,and the views from the back of the house, the Captains room and kitchen are superb, we wanted to stay longer. The weather was a bit hit and miss but that didn't spoil anything and we still managed to sit on the decking area and relax on the outdoor sofas and hammock. Due to the weather we didn't manage to use the outdoor BBQ or Pizza oven so will definitely be booking to come back next summer ! Our lovely hosts greeted us on arrival and were so friendly and welcoming they left lots of local produce which was totally unexpecte, we were very impressed. 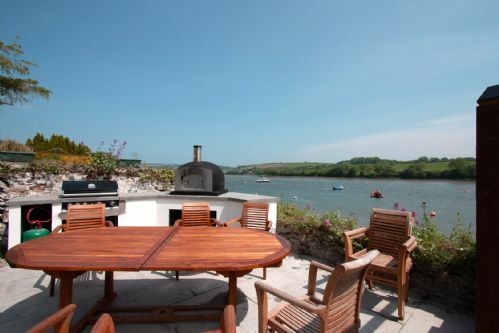 The location of the house itself is perfect, walking distance to a great pub, lovely Poppit beach and great crabbing for the kids just 2 minutes away. We could go on and on about how great this place is.... Thanks you very much ! 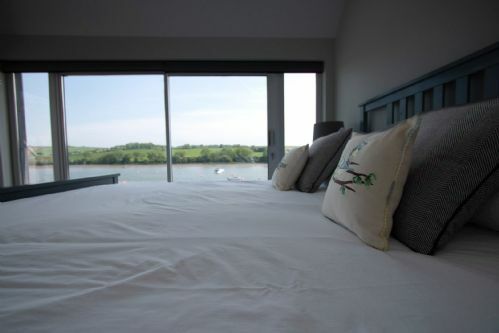 This riverfront holiday property is one of the best that we have stayed in. The view from the deck and the master suite was stunning! There was plenty of comfortable seating for everyone outside which is unusual for a holiday cottage. We appreciated the amazing personal welcome and items to make our stay even more comfortable, including for our dog, which was really thoughtful. 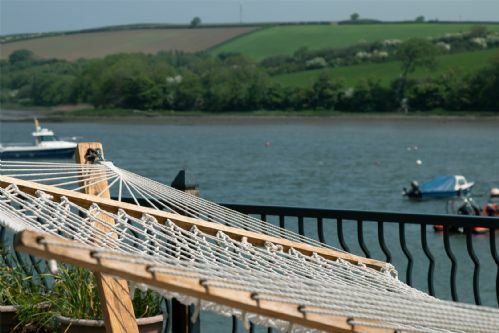 The property is brilliantly situated (within walking distance) of a pub selling excellent food, within easy reach of Cardigan and Poppit Sands (a lovely beach with plenty of room for the dog). Our older children enjoyed going out on a boat and seeing dolphins. We are only sorry that we couldn't stay longer to explore the local area further. 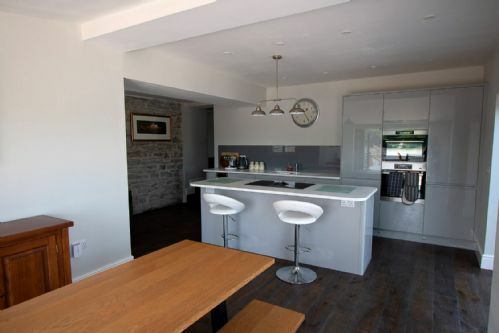 The property is decorated to a high standard and yet is dog friendly. I appreciated the art work and we all liked the amazing showers!. My nephew commented that the beds were the most comfortable he had slept in! 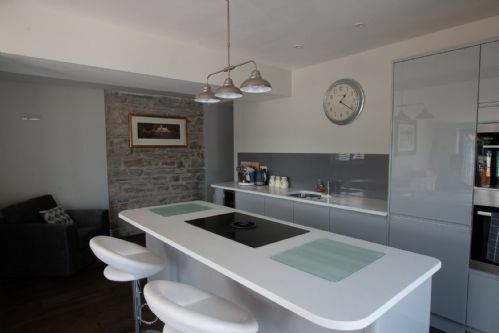 The kitchen is well equipped and it was lovely to stir a sauce whilst enjoying the ever changing view. We enjoyed using the barbecue one evening and also the pizza oven which provided the focus for our final evening together. Thank you! Plenty of room for everyone including the dog! The deck with its comfortable seating and amazing view!